I already own the Mulberry Bayswater bag but lately I've been getting withdrawal symptoms and would love another one (in my dreams!) 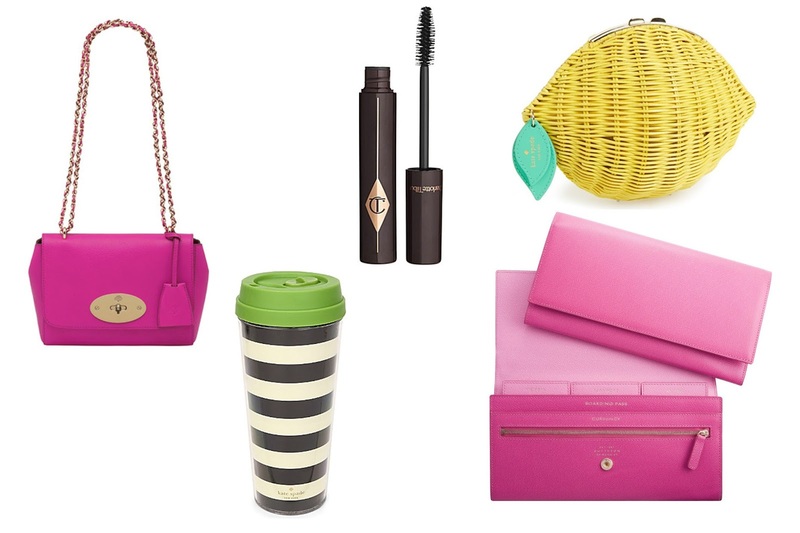 I have been drooling over the Lily bag and I think the magenta colour is just beautiful! This isn't technically a "thing I can't afford" it's more of a "thing that is slightly overpriced" at £19.95, I'm not sure whether it's worth it just for a thermal mug but I love green tea and think it would come in so handy when I'm back at uni so it *may* end up being purchased! I'm lusting after the whole Charlotte Tilbury makeup range, the packaging is just beautiful and all the products look freaking amazing! I saw a video on youtube where someone used this mascara and their lashes looked phenomenal! Who doesn't need a handbag in the shape of a lemon? I saw this in the Covent Garden store and pretty much fell in love, I just think it's adorable. I've pretty much convinced myself that I *need* this, I need it don't I? The other day I found out that I had won two return flights, two nights accommodation and £200 spending money for a trip to Amsterdam in a competition at work! I have wanted to go to Amsterdam for ages so I am ridiculously excited! I have been looking at travel wallets, and this Smythson one is beautiful and exactly what I'm after, (shame about the price tag!) if anyone know where I can get an affordable one, please let me know!